When it comes to preparing dinner, I love to break the rules. Take your typical evening meal up a notch by serving dessert for dinner. From gooey cinnamon-pecan rolls, to fresh-baked strawberry bread pudding, to creamy coffee liqueur pops, a little sweetness is a great way to top off your day. Here are a few of my favorite dessert-for-dinner recipes. 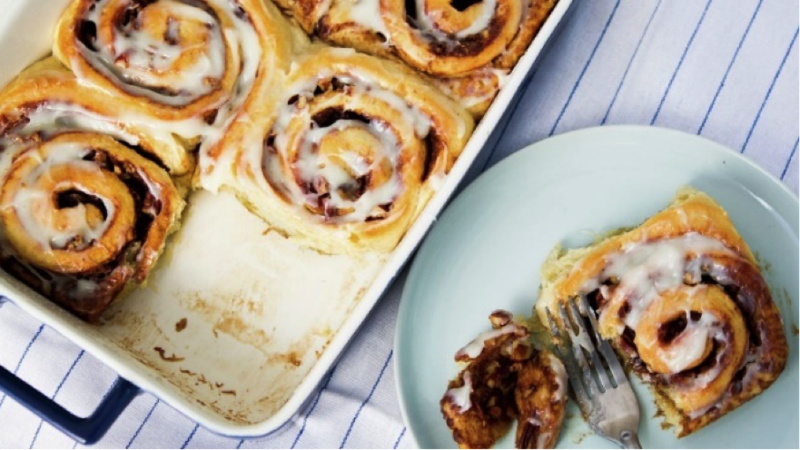 What better way to mix up your typical dinner than with warm, filling Cinnamon-Pecan Rolls? Serve the perfect amount of sugar with this fresh pecan-topped creation. Warm milk to 110°F on your Thermador 60-Inch Pro Grand® Steam Range and mix in flour until a soft dough forms. 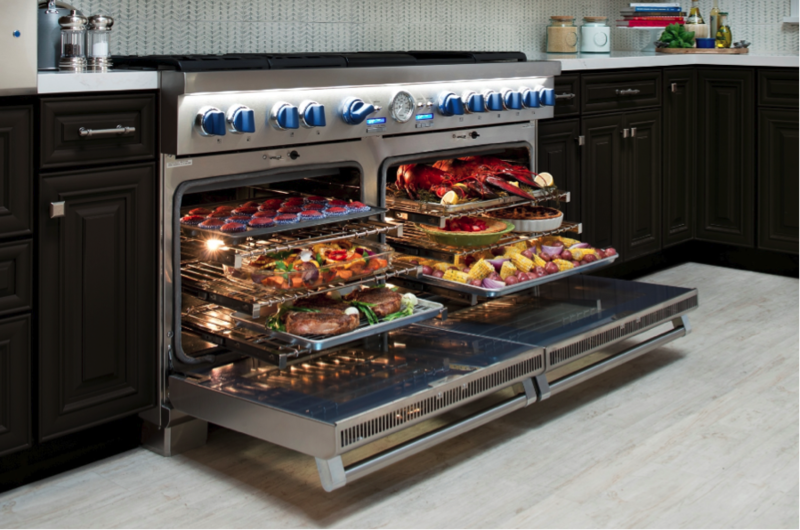 The 60-inch Pro Grand® Steam Range provides the best of both worlds—the full flavor and benefits of steam and the golden-brown perfection of convection. When my rolls are ready, I add the cinnamon filling, chopped pecans, and serve. After a taste, my guests are always running back for seconds. For a dessert of the fruitier variety, one of my ultimate go-to dishes is a sumptuous Strawberry Bread Pudding. For best results, I again turn to my Thermador 60-Inch Pro Grand® Steam Range and warm the rich milk and brown sugar mixture over medium heat. I drizzle this sweet combination over the bread and strawberries, until it absorbs the delicious fruit-filled mixture. I like to bake my Strawberry Bread Pudding until it’s perfectly golden brown. Strawberry sweetness, here we come. 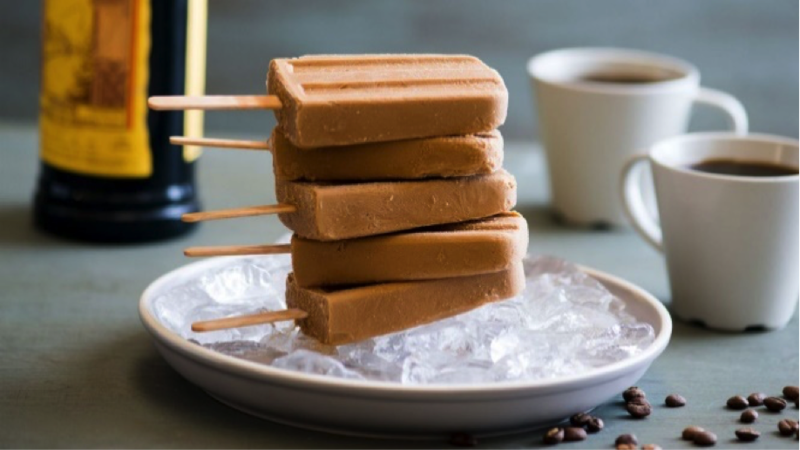 With the warm weather still lingering, switch up your evening espresso for a more refreshing option—Creamy Coffee Liqueur Pops. To prepare, I stir together the espresso-liqueur mixture until sugar is dissolved and pour my mixture into ice molds. After adding wooden popsicle sticks, I place the pops in my Thermador 36-Inch Built-In Freezer Column to freeze and then serve. With the Open Door Assist feature, I can open the column door with a slight push or pull when my hands are full of frozen sweets. Always frozen to perfection, this delightful treat is the perfect way to wind down on a warm weather day. After a busy day of cooking, a quick and stress-free clean-up is especially ideal. 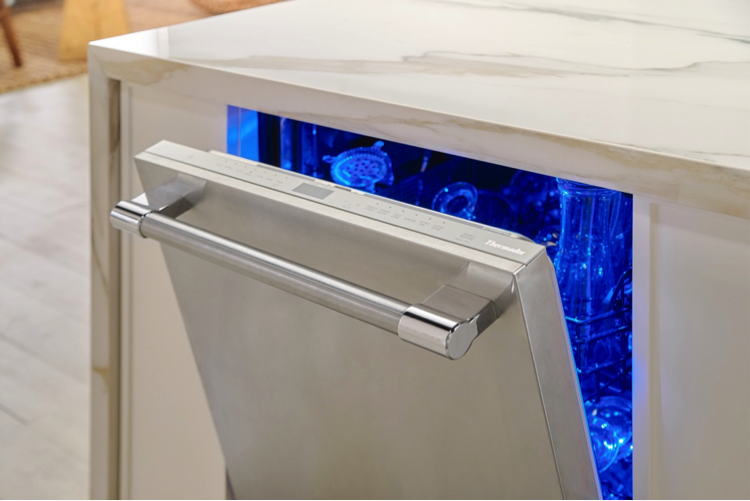 I turn to my all-new Star-Sapphire™ Dishwasher to get the job done. With the ultra-innovative StarDry™ with Zeolite™, my dishes are sure to emerge dry, reducing the need to towel dry items or leave them to airdry. Plus, with the fastest hot water cycle at only 20 minutes, I can get back to enjoying my evening in no time. Talk about the ultimate dishwashing experience. 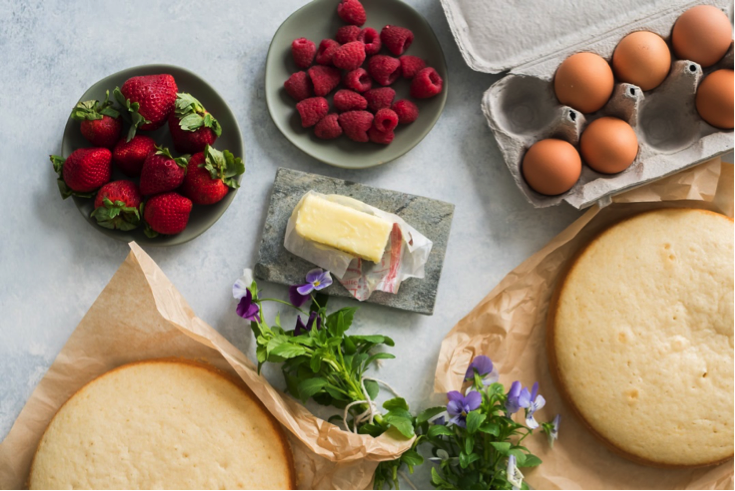 To give my dessert-for-dinner dishes a try, check out the full recipes below. What are your favorite sweet selections? Share your thoughts with us in the comments or on our social channels: www.facebook.com/thermador, @ThermadorHome and @Thermador.